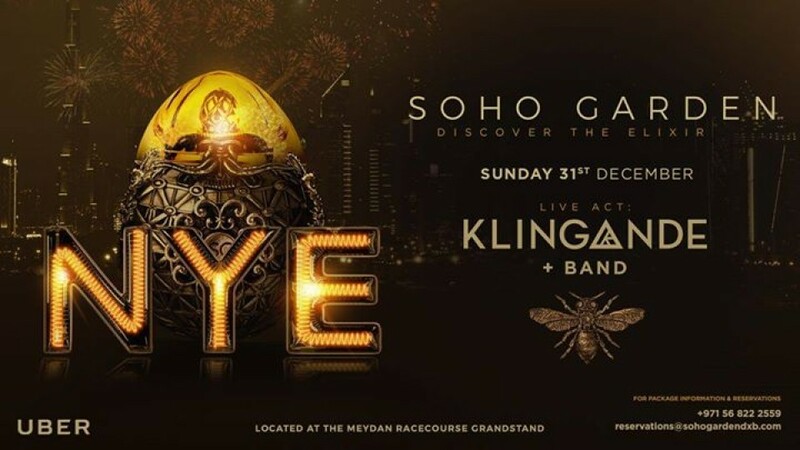 This New Year's Eve welcomes 2018 in true Soho Garden style with Klingande & Band. Best known for blending live instrumentation into his uplifting electronic music, French producer Klingande & Band are gearing up to kickstart 2018 in one of the most significant shows of the year. Klingande has just recently debuted in New York and Miami with an eclectic music concept that merges tropical house and instrumental melodies.This well curated series stops in Dubai this NYE with uninterrupted views of Dubai’s skyline and Burj Khalifa's fireworks. Dine Package – 650AED entry with open bar and sharing style dishes all inclusive both ladies and gents. Large group table bookings available. Start 2018 as you mean to go on!